Slow-moving earthquakes along the San Andreas Fault can trigger bigger, more destructive quakes, according to researchers at Arizona State University. A new study published in the journal Nature Geoscience suggests that this slow movement, which can last for months at a time, calls into question current models of earthquake forecasting that may be underestimating the risks. Many scientist have believed these gradual movements provide a safe and steady release of energy, helping to reduce the risk of a huge quake. But the new findings indicate that the motion of this continuous creep is in fact not steady, but rather consists of episodes of acceleration and deceleration. These stop-and-go movements along the central section of the fault line can place a lot of stress on the locked segments along the fault's outer portions, according to Manoochehr Shirzaei, co-author and assistant professor at ASU's School of Earth and Space Exploration. "We found that movement on the fault began every one to two years and lasted for several months before stopping," Shirzaei said in a statement. This stop-and-go motion is the result of high-pressure fluid in the fault zone, according to Mostafa Khoshmanesh, a graduate research assistant at SESE and the lead author. "Fault rocks contain a fluid phase that's trapped in gaps between particles, called pore spaces," said Khoshmanesh in a statement. "Periodic compacting of fault materials causes a brief rise in fluid pressure, which unclamps the fault and eases the movement." 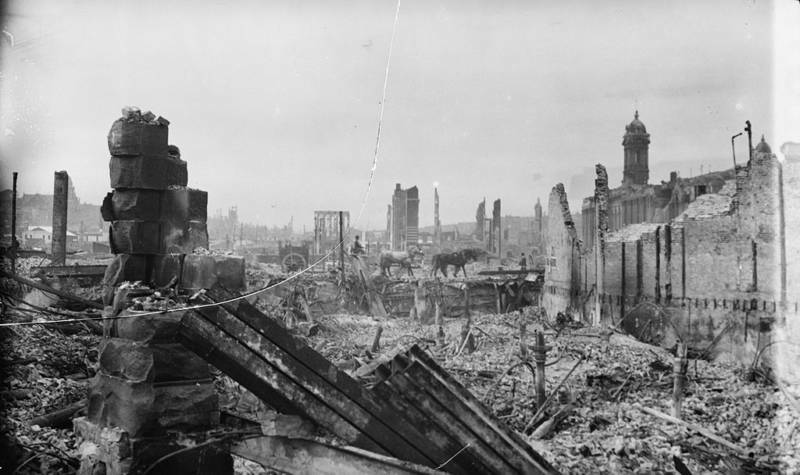 He links the phenomenon to two magnitude 7.9 earthquakes that occurred on the outer flanks of the fault line: Fort Tejon in 1857 and San Francisco in 1906. 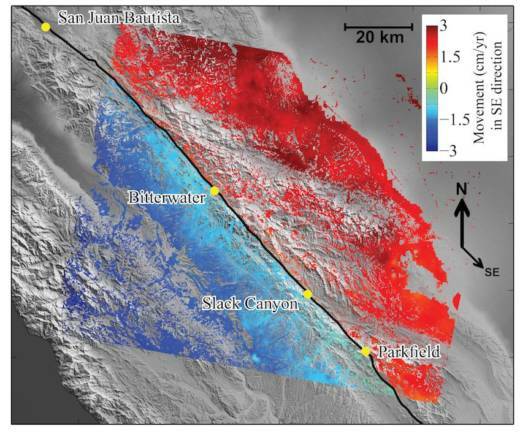 Researchers used satellite data from 2003 to 2010 to track month-to-month changes in the ground along the central part of the San Andreas Fault. They combined these observations with seismic records to produce a mathematical model. "We found that this part of the fault has an average movement of about three centimeters a year, a little more than an inch," Khoshmanesh said. "But at times the movement stops entirely, and at other times it has moved as much as 10 centimeters a year, or about four inches." Researchers say the findings are significant because they reveal a new type of fault motion that can trigger much larger, destructive earthquakes, a process that current models of earthquake forecasting systems don't take into account. "Based on our observations, we believe that seismic hazard in California is something that varies over time and is probably higher than what people have thought up to now," Shirzaei says. Current models are time-independent and don't account for this variation in creep rate, he says. But "the hazard we discovered is time dependent and these periodic movements should be included in any models. Taking them into account will result in better models for earthquake prediction." U.S. Geological Survey models show a 75 percent chance for a 7 magnitude or larger earthquake in northern and southern California within the next 30 years.